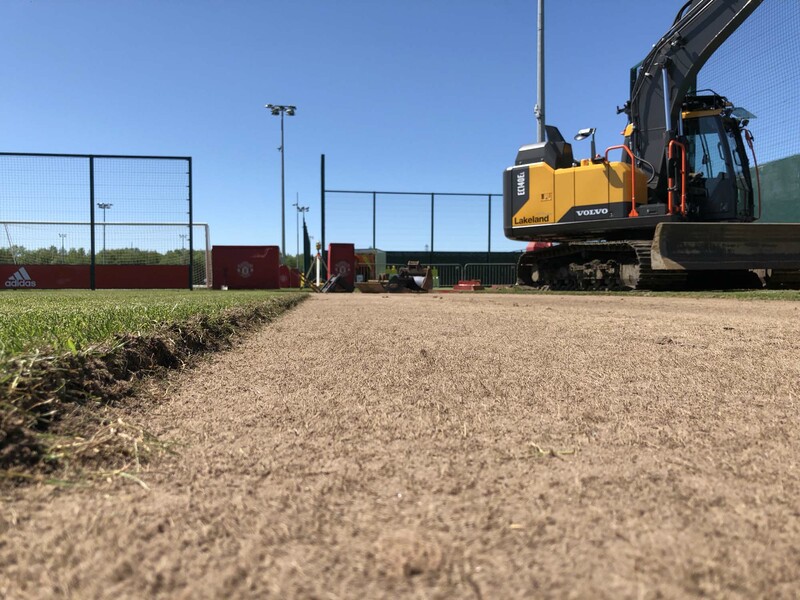 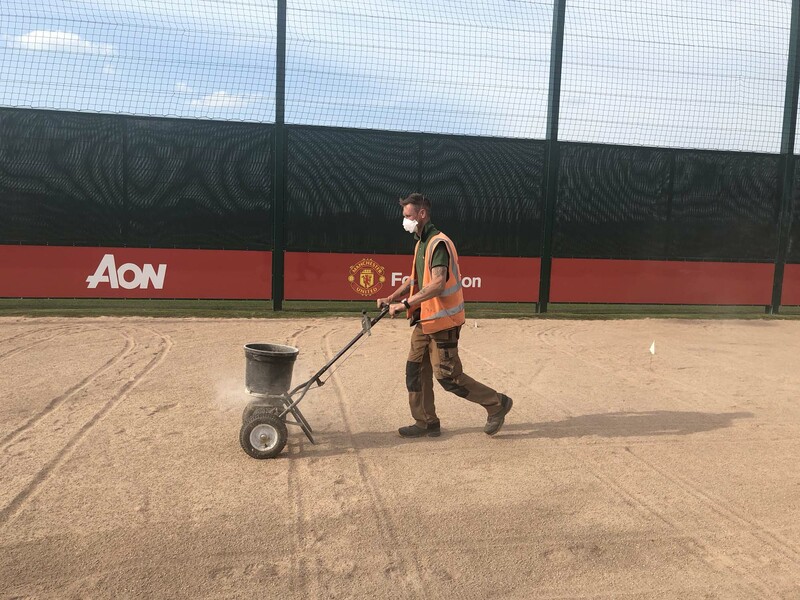 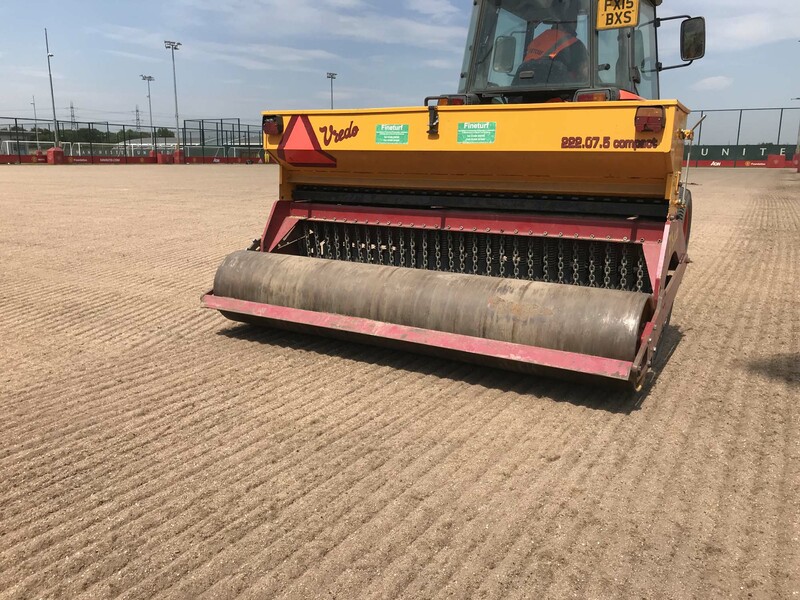 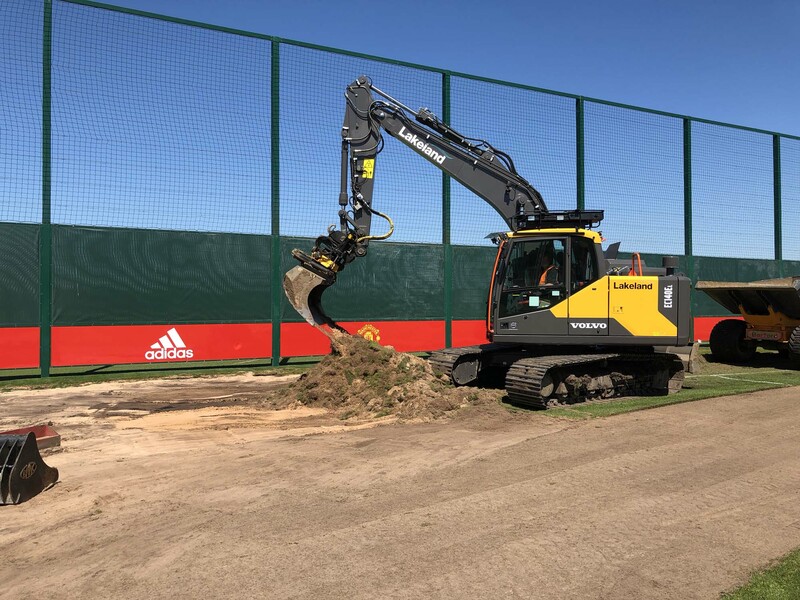 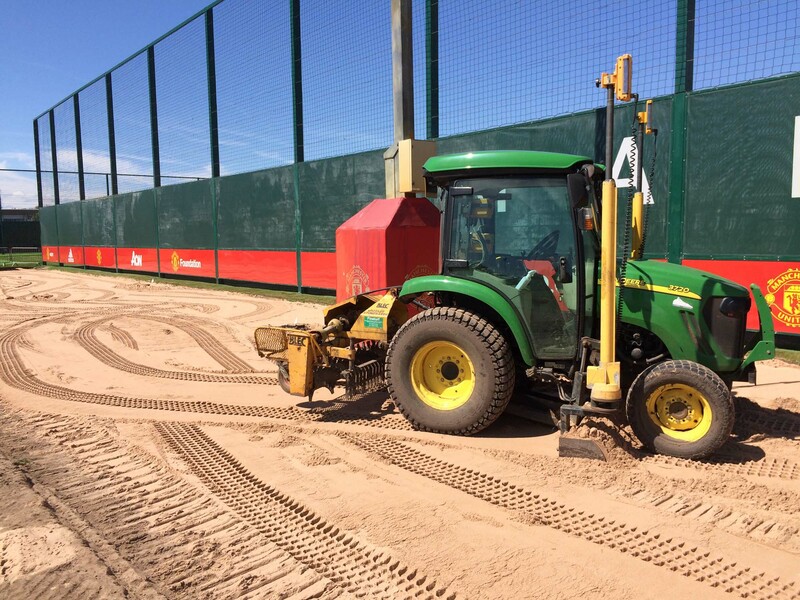 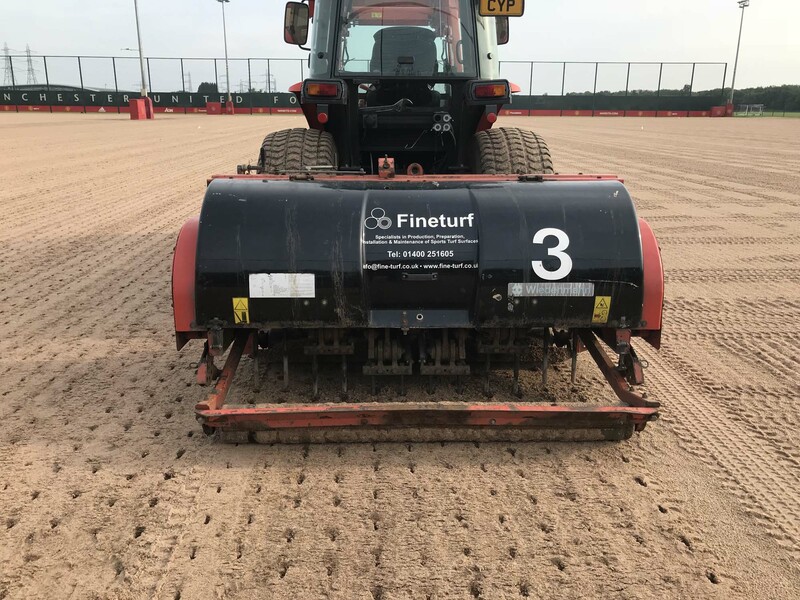 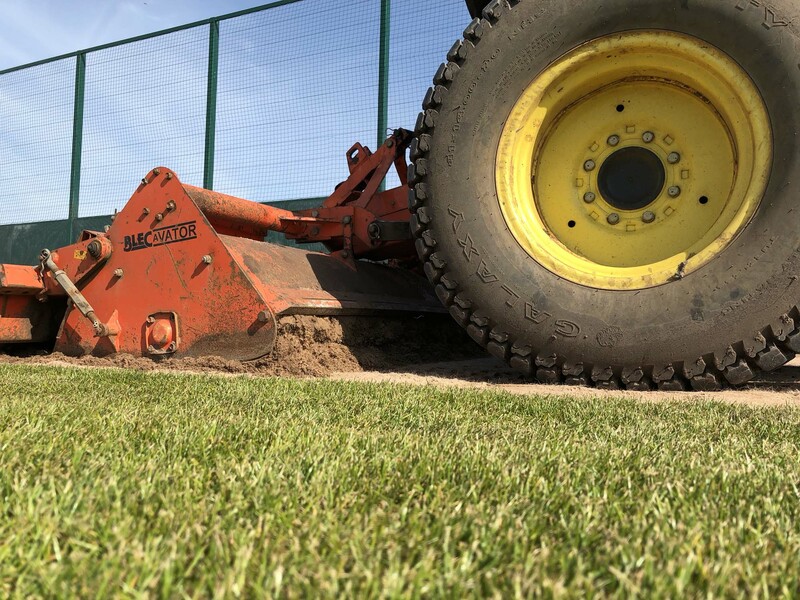 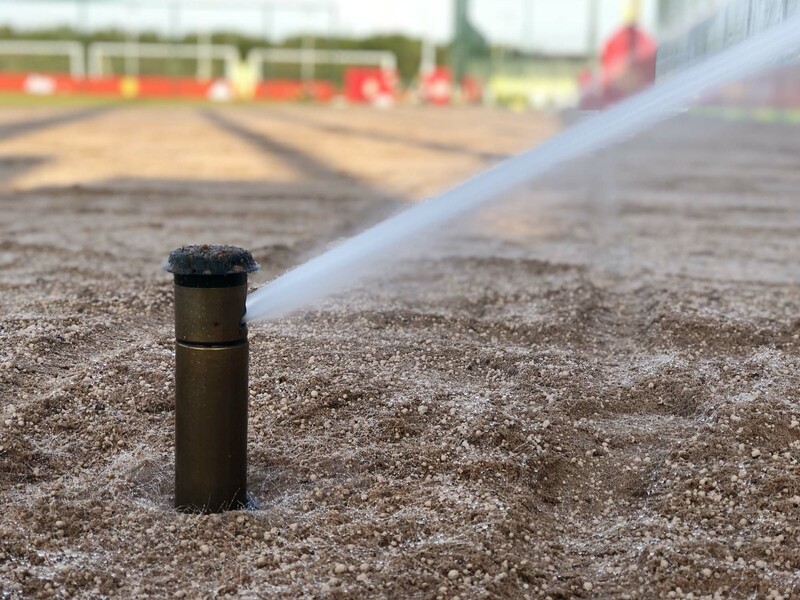 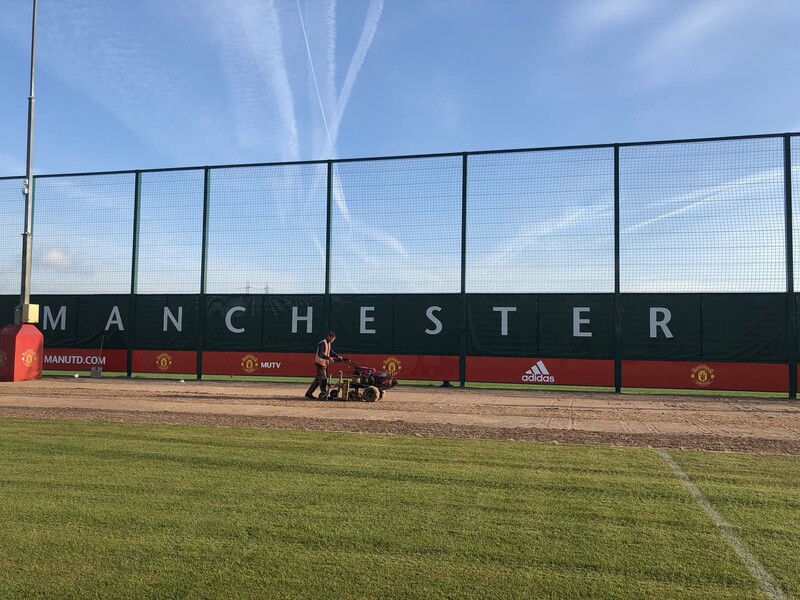 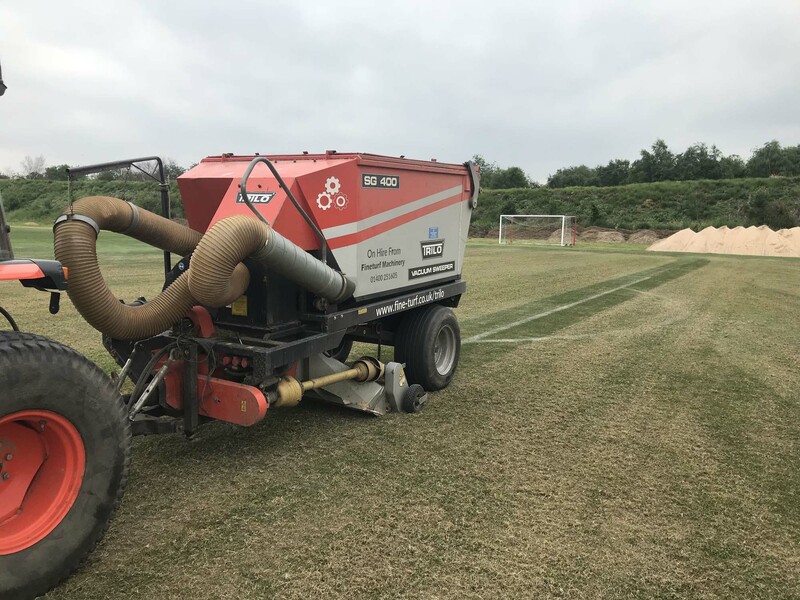 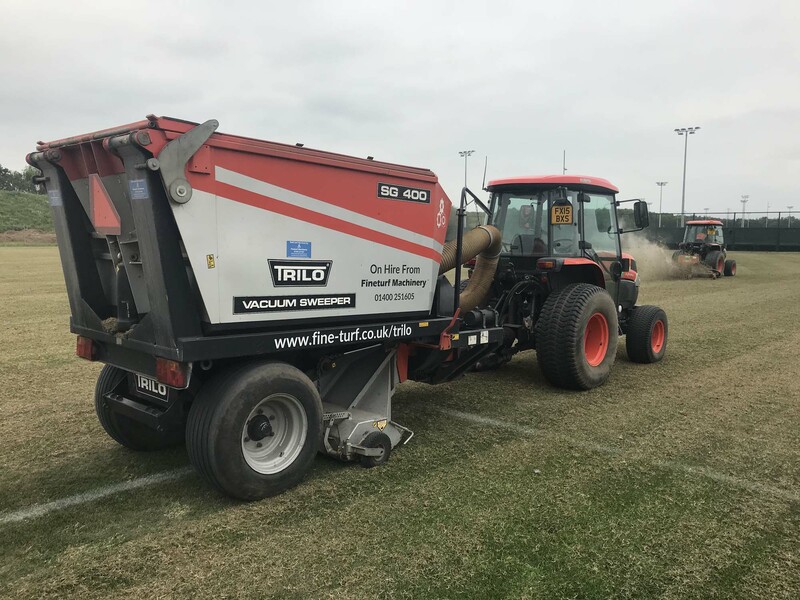 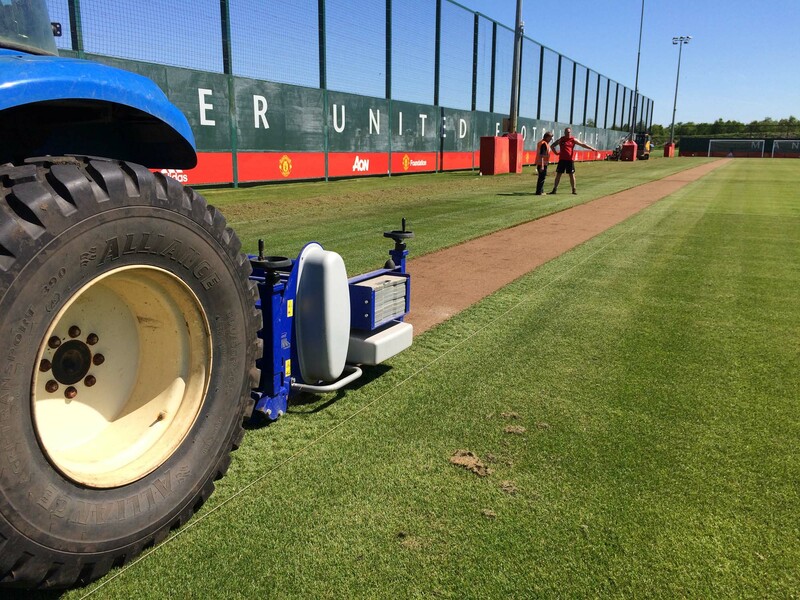 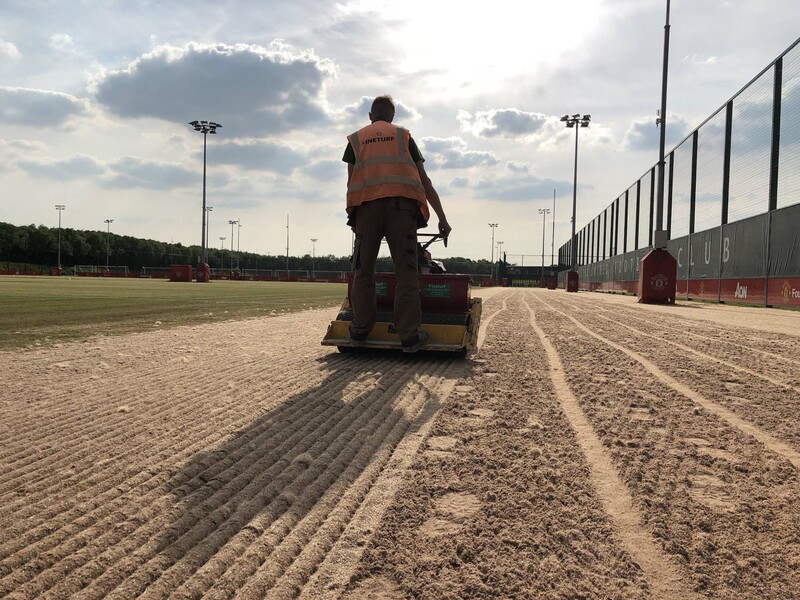 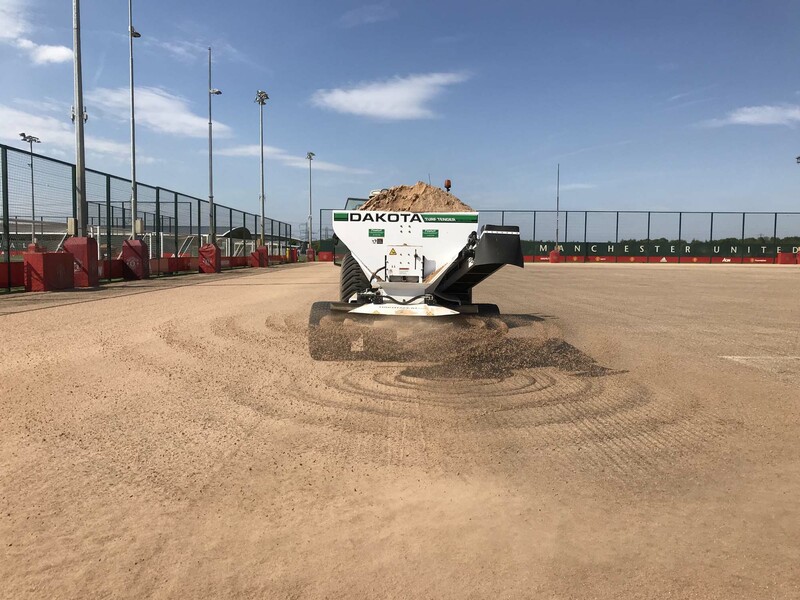 Following the 2017-2018 season we renovated the first team fibre sand pitches at Manchester United’s Carrington Training Ground. 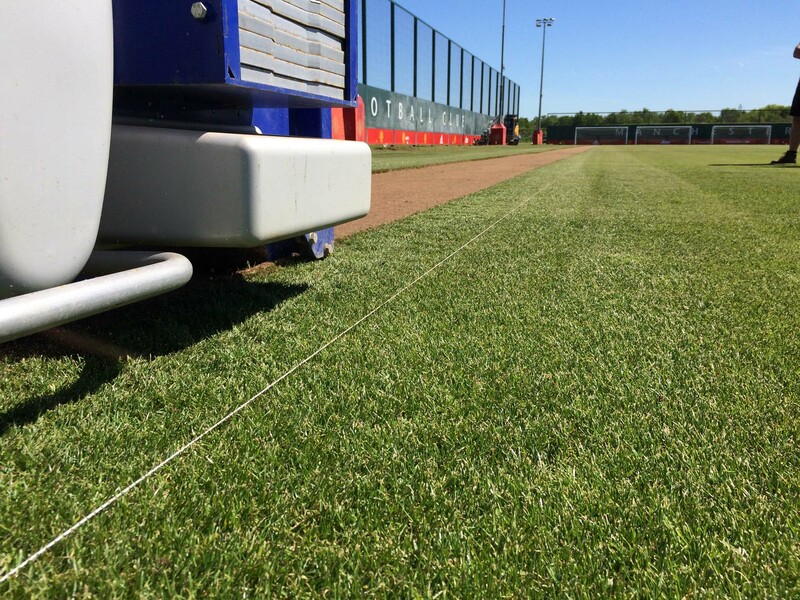 These pitches cover an area of approximately 19,000m2. 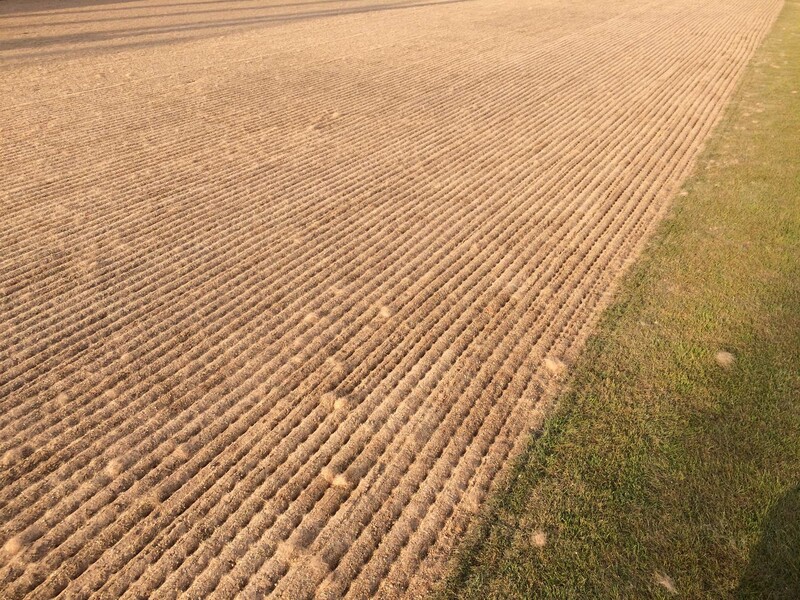 We lightly Koro’d to remove the leaf and any thatch, ensuring not to remove any fibre sand. 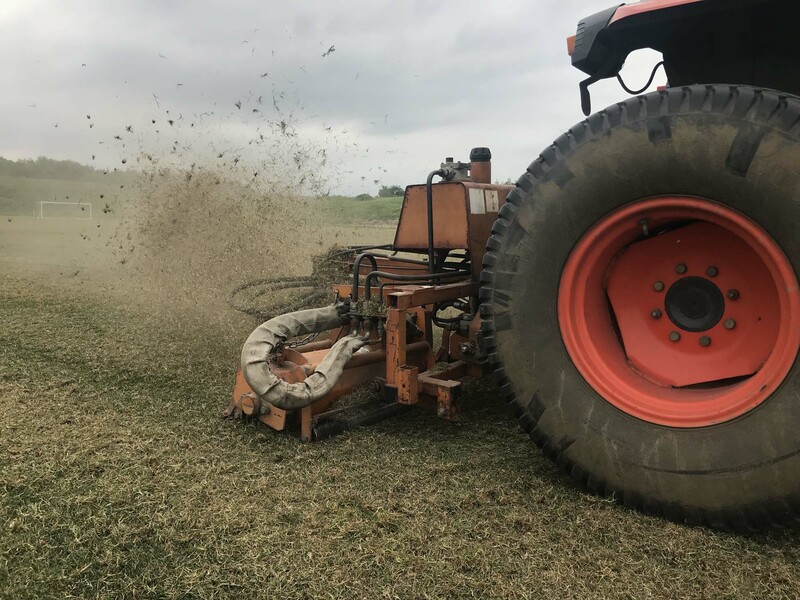 The debris was vacuumed. 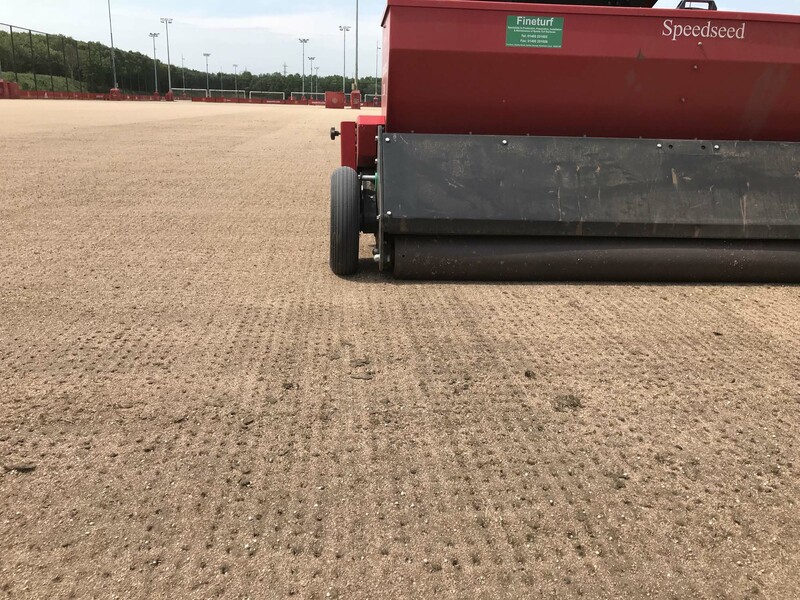 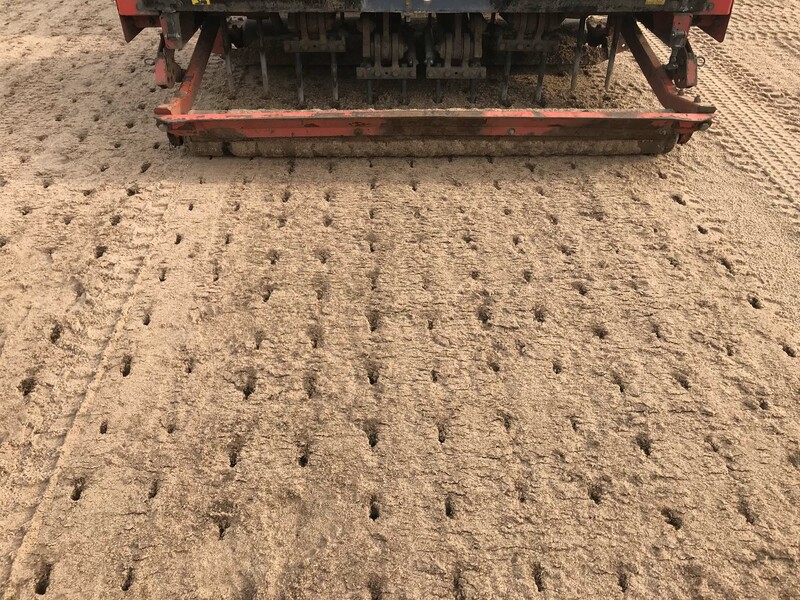 A new layer of sports sand was spread and grass seed sown with a disc seeder in 5 directions and a dimple seeder in 2 directions. 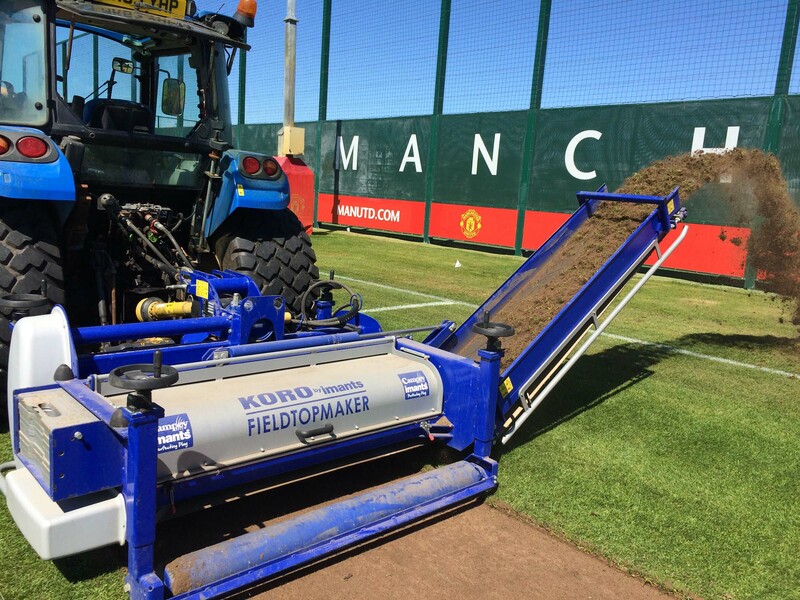 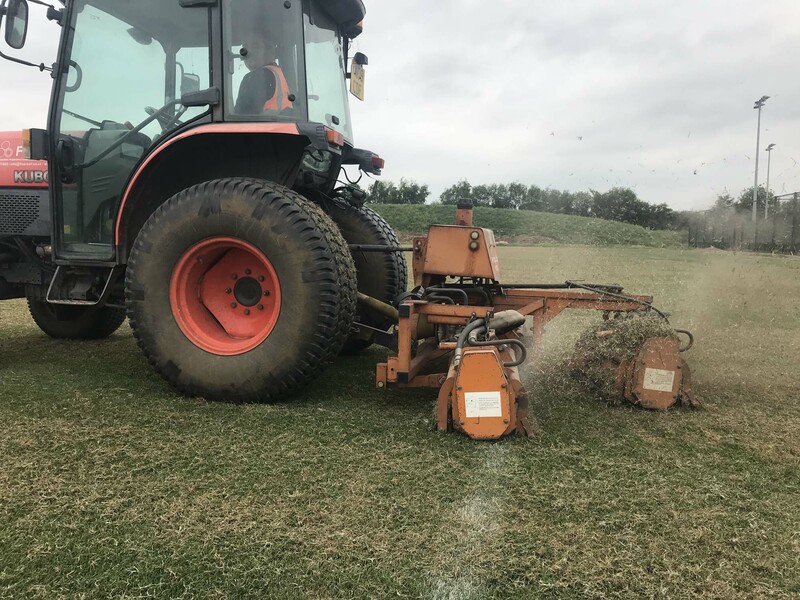 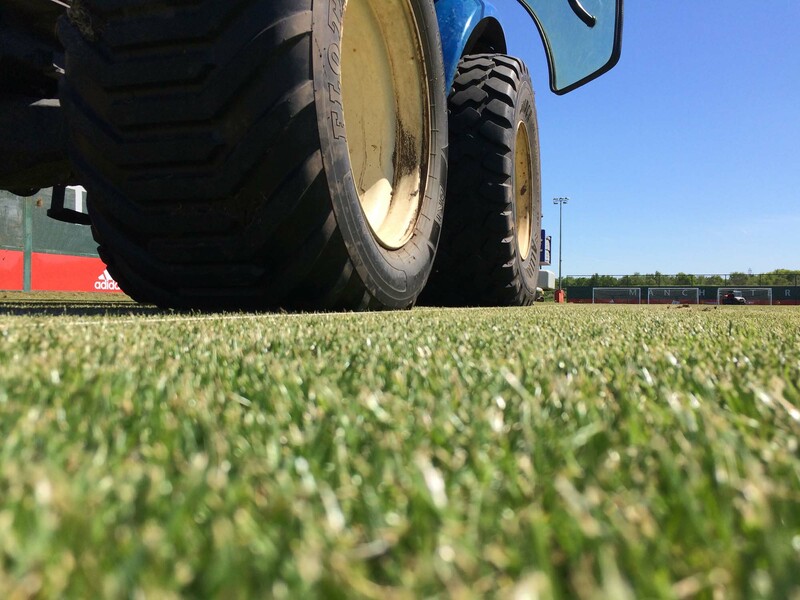 The pitches were aerated, fertilised and drag matted. 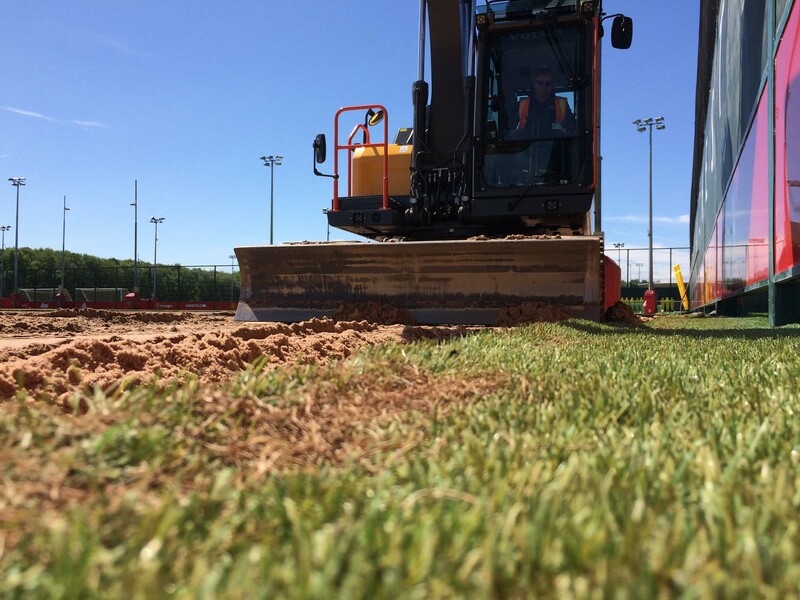 On a second area, alongside a fence, we excavated a Desso strip and any vegetation to a depth of 150mm. 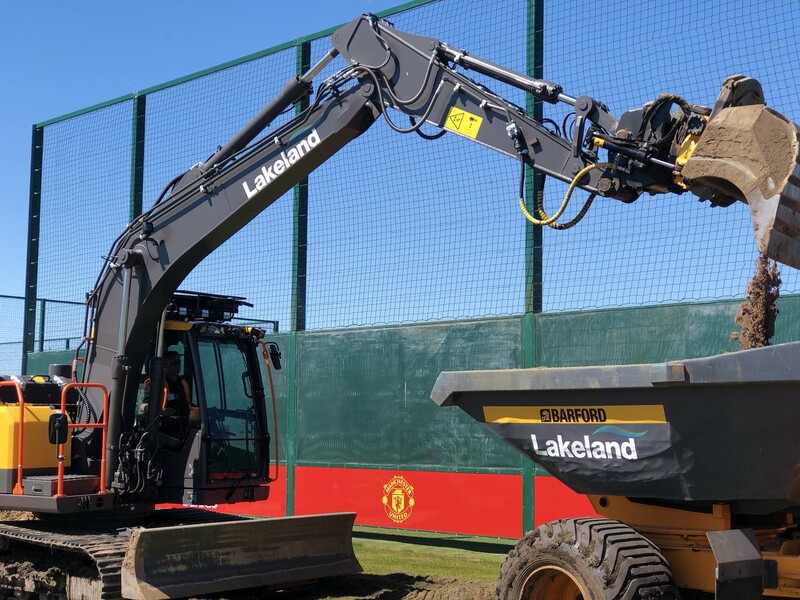 This material was carted away using a wide wheeled dumper. 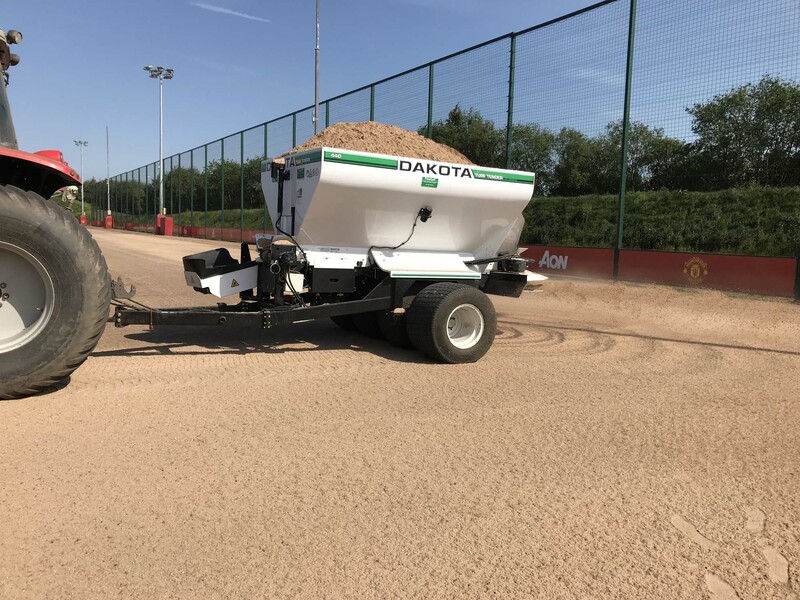 New sand sports sand was spread, laser graded and ameliorated into the existing surface. 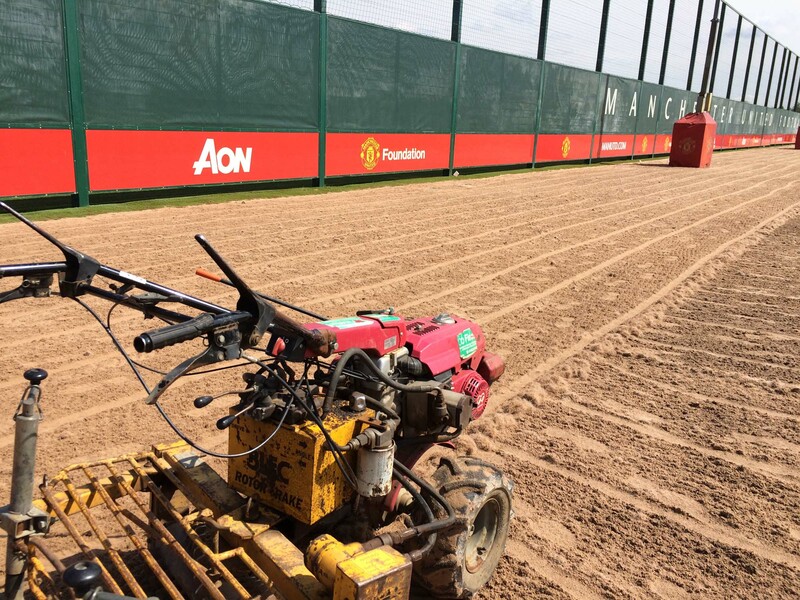 A Blec Pedestrian Stonerake was used to prepare the area ready for seed which was sown with a Blec Cultipack.